z Joystick Adapter JS. Returns/refunds unavailable for parts. Parts to attach Warthog joystick to our frame [this is just for the joystick]. You will receive one mounting plate with pole attached (all hardware included, no tools). The build quality of the product is great just like the stand. 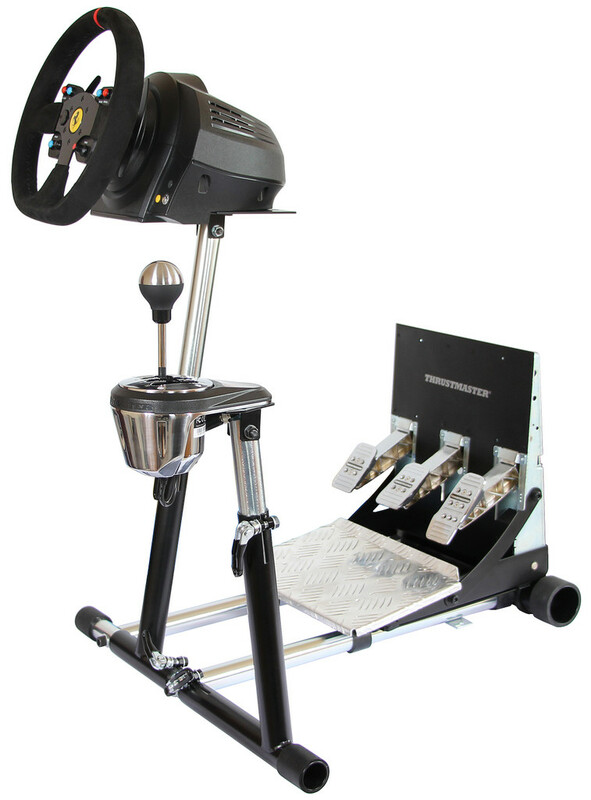 I bought originally the wheel pro stand for the thrustmaster warthog, which having the giant plate to put stuff on wasn't a good fit for me. I researched and saw they had a mount for just the stick and decided that would be much less obtrusive since i like a center mounted stick position between my legs...much more natural. A few qualms I have overall is the mounting plate should be rounded like the warthog bottom so as not to expose the electronics inside the base and the fact its not an option (at least it wasn't when I purchased) when you buy the wheel stand pro specifically made for the warthog. I would have preferred this option much more than having to buy two sets of equipment basically. 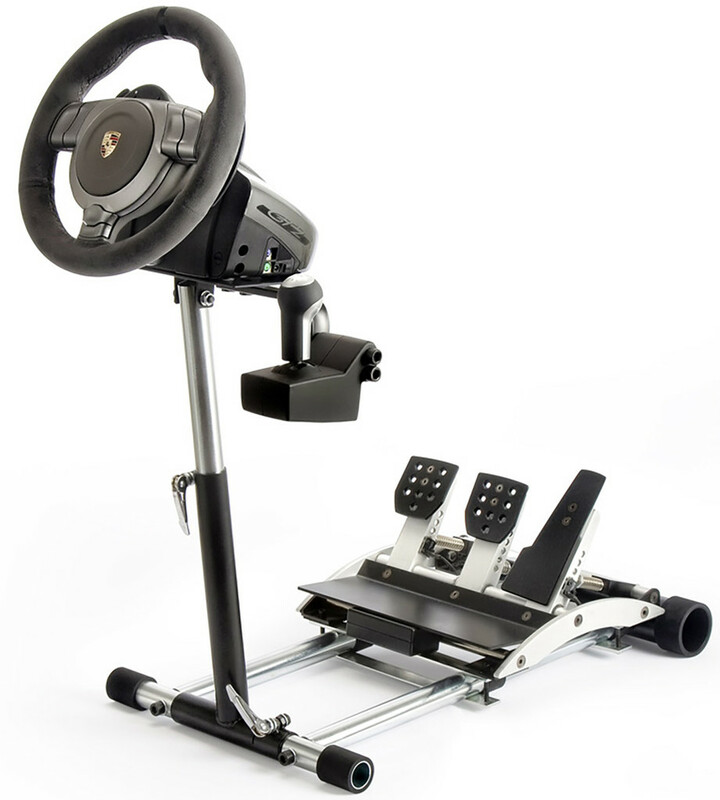 YMMV but this is way better if you just want a stick mount that can be centered and not have to modify and office chair. Built from the same quality material as the Wheel Stand Pro itself. I must agree with the other reviews of this product, however, the plate should be cut round as oppose to square allowing for the concealment and protection of the stick's electronics located in the Thrustmaster Hotas Warthog stick's base. Other than that, great product and happy to have it available. Feels like same quality as original Wheel Stand pole + adaptor. Good quality components, fits perfectly on both the wheel stand and the Warthog stick. My only complaint is that the plate isn't round and doesn't close up the bottom of the Warthog. I had to cut a round piece of cardboard and sandwich it between the plate and the stick. Good quality. Maybe cu more realistic and comfortable to use, increasing immersion. Would prefer that the plate was round and same diameter as base of the Warthog joystick, to keep components in the base dust-free. Would suggest making it an option for purchase on the main Wherldysnd website. 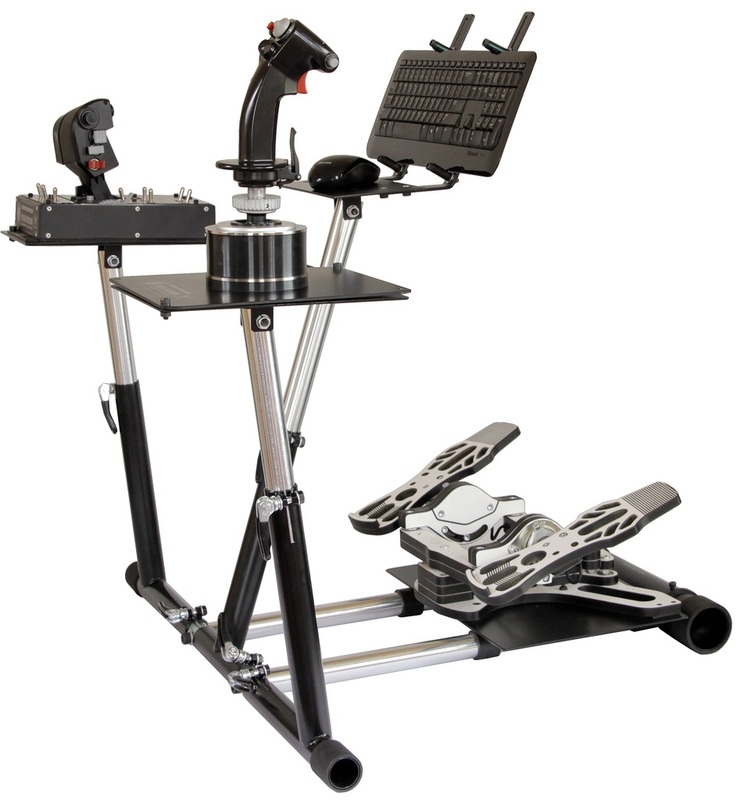 Overall, an excellent product for sim pilots. This adapter is the ideal solution for mounting the warthog tm joystick in the center position and should probably be added as an option to the original order system to avoid customers having to order separately. I only wish that it was slightly shorter in length to accommodate stick extensions (common lengths 7.5 - 15 cm), but a hack saw can easily fix this issue if you need a few cm of reduced height. WPS builds robust and flexible modular solutions that meet most mission requirements. My Hotas Warthog joystick mounts easily to the stand (they even include more screws, which is nice in case one loses the screws that come with the Hotas), which slips nicely into the base of my V2 Wheel Stand Pro for Logitech G27. 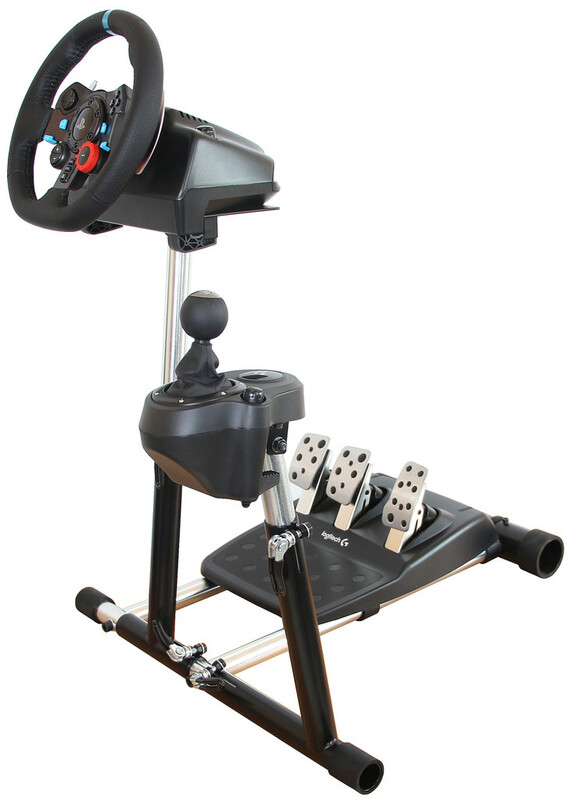 With this configuration, I can have my joystick in front of me between my knees, just like the configuration in the fighter jets I fly in my simulators. This well-designed (and well-built) product adds significantly to my comfort and immersion while gaming. I highly recommend this product and would purchase again without reservation.